Reykjavik is often the first (and sometimes only) stop for tourists visiting and stopping over in Iceland. For us, it was our last. We didn’t do much here except wander the streets, stock up on hot dogs before we go (don’t laugh - Icelandic hot dogs are the best). Reykjavik’s top site is the modern, concrete Hallgrímskirkja church. Sadly, the church was closed for a funeral or a wedding while we were there. Though, we think it’s towering exterior is most noteworthy. Fun Fact! Did you know the exterior of this church was inspired by the basalt stacks which flank the Svartifoss waterfall?! 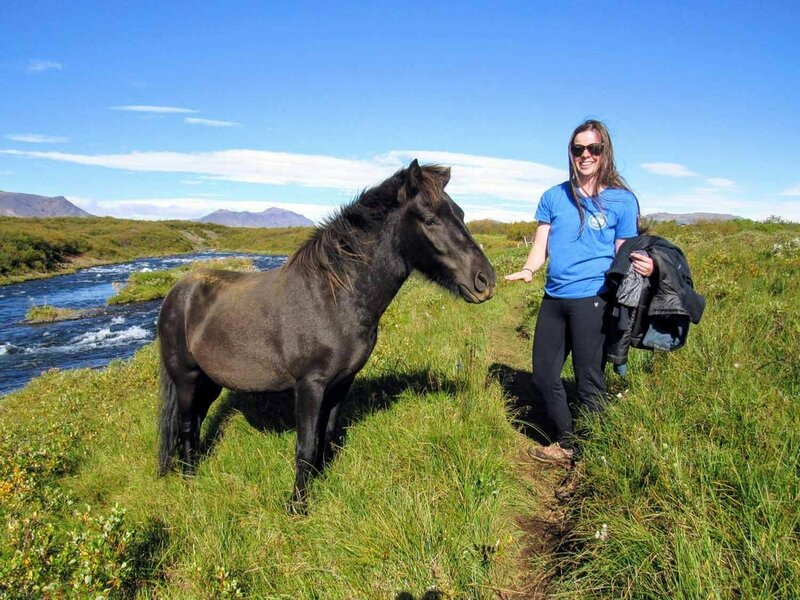 Reykjavik is also a starting point for many tours and excursions, particularly Iceland’s most popular tourist route, the “Golden Circle”. 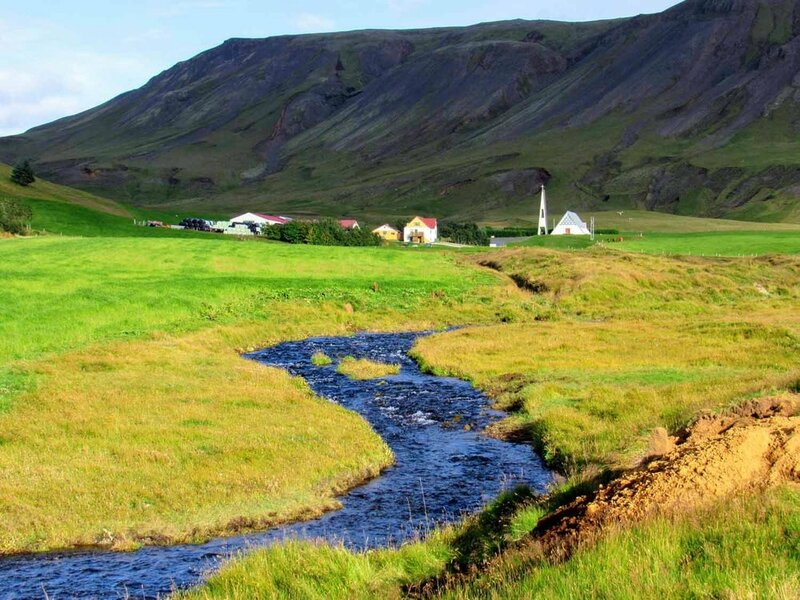 This well-traveled path includes Thingvellir, Geysir and Gullfoss (keep scrolling). Perhaps my favorite memory in Reykjavik was when we ATE WHALE. Yes, it's true. Though most of our meals consisted of bread, cheese and salami from the local grocery store, we decided because it's our honeymoon, we should splurge for at least one meal. Now, I am in no way a fan of eating anything that comes from the sea, but I mustered up the courage to at least try something local at Geysir Bistro. To our surprise, it was delicious. It was minke whale, cut into thin strips, topped with an Asian-inspired ginger sauce. If I didn't know any better, I would have thought it was a very tender steak. No blubber or fat! Sadly it doesn't look like this dish is available anymore, but keep a lookout! Before traveling to Iceland, a friend of mine told me about Bruarfoss. Apparently it's a bit difficult to find (or use to be). Although we had printed out a blog describing some directions, we forgot to bring them with us. As we were driving (trying desperately not to nod off), we crossed over the Bruar River. Taking a chance, we pulled off the road and headed out in hopes of finding the falls by following the river. To our delight, we came to two sets of beautiful, bright blue falls... turns out we never went far enough to see the main set of falls. Sometimes, ignorance is bliss. On the way back to the car we spotted about a dozen or so Icelandic horses/ponies in the distance. And then, all of sudden, they quickly made their way our direction and were right in front of us. At first I was a little frightened, but I could not believe what happened next. They nuzzled us. They were like puppies, so cute and so sweet. There were signs all around stating "Don't pet the horses", but how could we resist them?! In this moment, we immediately in love with Iceland and all it had to offer. Did you know the English word geyser derives from the icelandic word geysir? After all this popular stopping point on the Golden Circle, is the first-known description of the natural phenomenon in a printed source. After seeing places like Yellowstone National Park, we found Geysir to be a little anti-climatic, but if you're already checking out the other Golden Circle sites, this one is right on the route and it's free! Arguably Iceland’s most famous waterfall, and it’s completely free! This powerful beast is fed by Iceland’s second largest glacier, Langjökull, and crashes down 32 meters throughout two tiers. 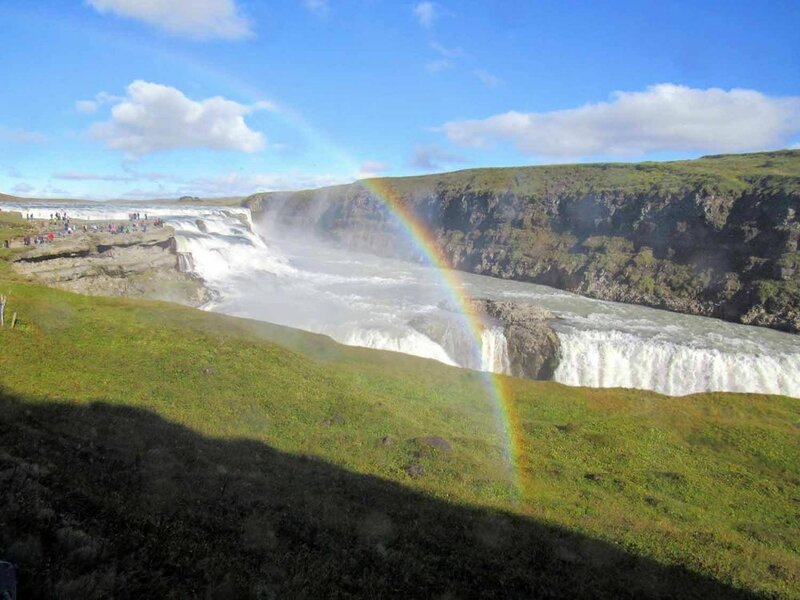 You may have to wait in a line of other tourists as you wander out to the viewing points and platforms, but maybe you’ll be lucky to catch a rainbow on a sunny day! Gullfoss is easily reached by a regular vehicle (no 4x4 needed). Iceland’s most active volcano, known by locals as “Gateway to Hell”. Etymology. The word Hekla means “short hooded cloak”. Perhaps it alludes to (or is inspired by) the frequent cloud looming over its upper ridge line. It is possible to hike to the summit, but we had an entire ring road to get around and just over a week to do it. So, we opted to admire it from afar. Maybe next time, Hekla. Bruarfoss is now much easier to find and even has a location tagged on google maps. If you are travelling around the entire Ring Road, it might be worth your time to stop in Reykholt (North of Reykjavik). Here, we checked out the Reykholtskirkja (church) and the Snorrastofa Museum - where some of Iceland's oldest literature was written.